To celebrate Valentine's Day, The Ritz-Carlton, Marina del Rey has created a variety of offerings for couples looking for a coastal Southern California escape. 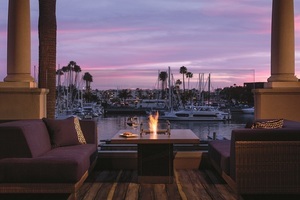 MARINA DEL REY, CA--(Marketwired - Feb 2, 2017) - Surrounded by over 5,000 recreational boats, The Ritz-Carlton, Marina del Rey has recently undergone a 304-guest room, suite and Club Lounge enhancement and its waterfront restaurant, Cast & Plow, has become a favorite destination for locals and guests to experience its seasonal menu. To celebrate Valentine's Day, the hotel has created a variety of offerings for couples looking for a coastal escape. Cast & Plow Executive Chef, Umit Kaygusuz showcases specialties including a mushroom risotto, striped bass, and duo of beef consisting of roasted tenderloin and slow braised short ribs in his carefully crafted prix fixe four-course menu. Priced at $95 per person (excluding taxes and gratuity), reservations are recommended and outdoor fire pit tables are limited. To make a reservation, please contact Cast & Plow directly at 310.574.4333 or visit castandplow.com. Spa del Rey offers 7,000 square feet of serenity featuring eight treatment rooms along with a full-service manicure and pedicure salon. This month, the premiere Marina del Rey spa will be offering a 60-minute Sugar Kiss Scrub and Massage that leaves the skin refreshed and hydrated with a blend of citrus, rose and vanilla for $150. Additionally, couples can unwind in the private spa suite for the Love Me Tender Couples Massage, priced at $300 for 60-minutes or $400 for 90-minutes. To make a reservation, please call Spa del Rey directly at 310.574.4356. Starting at $659 per night, experience one of the hotel's recently renovated luxurious suites that boost panoramic views of the marina while enjoying a $50 food and beverage credit (once per stay) that can be used at the hotel's waterfront restaurant, Cast & Plow, complimentary valet parking, and a rose petal turndown service. To make a reservation, please contact the hotel directly at 310.823.1700 or visit the website. The hotel will arrange a private sailing trip for two along the iconic Southern California coastline. Depart directly from the hotel and choose either to sail around the harbor or sail the ocean and capture a picture-perfect sunset. For more information, please contact the hotel directly at 310.574.4277. Minutes from LAX, Venice Beach, Playa Vista and Santa Monica, The Ritz-Carlton, Marina del Rey offers a peaceful retreat that draws on the soothing elements of the surrounding ocean. Guests can admire the exceptional scenery from each of the recently renovated 304 guest rooms and suites, featuring private balconies and the waterfront restaurant, highlighting locally sourced ingredients. The Ritz-Carlton, Marina del Rey offers a desirable venue for weddings and events, with more than 30,000 square feet of indoor and outdoor function space. Whether visitors are seeking a few days of self-reflection, a relaxing beach weekend, an unforgettable wedding venue or a quintessential California dining experience, The Ritz-Carlton, Marina del Rey offers the perfect destination. The Ritz-Carlton Hotel Company, L.L.C., of Chevy Chase, Md., currently operates more than 90 hotels in the Americas, Europe, Asia, the Middle East, Africa, and the Caribbean. More than 30 hotel and residential projects are under development around the globe. For more information or reservations, visit the company web site at www.ritzcarlton.com, for the latest company updates, visit news.ritzcarlton.com and to join the live conversation using #RCMemories. The Ritz-Carlton Hotel Company, L.L.C. is a wholly-owned subsidiary of Marriott International, Inc. (NASDAQ: MAR). 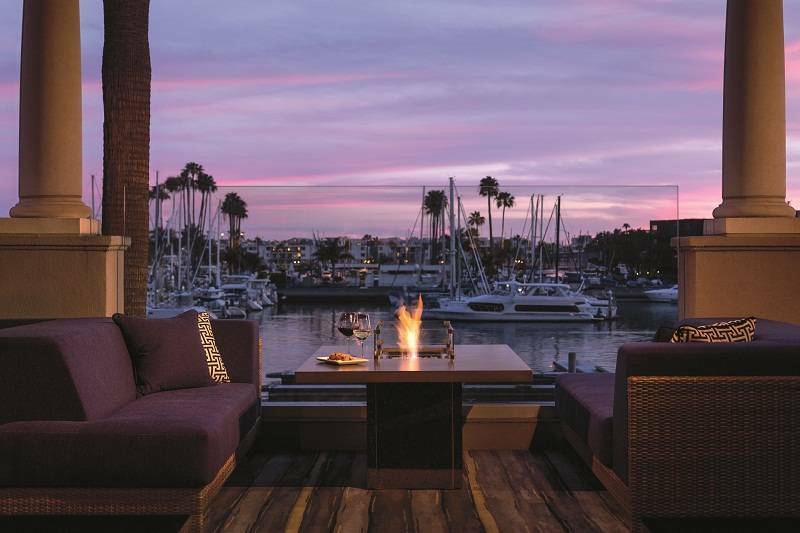 Discover the romance of Marina del Rey from our luxury hotel suites. Experience a Valentine's Day escape with couple's packages at the Spa del Rey.